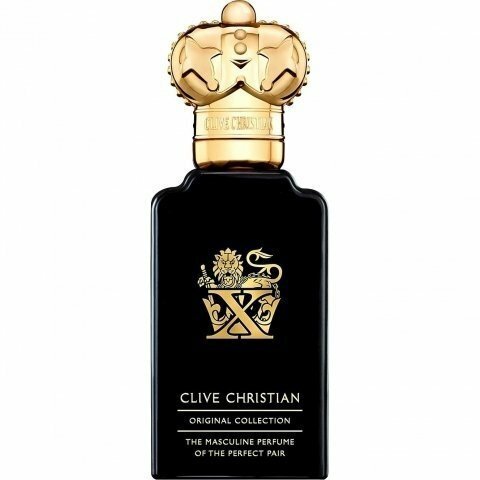 X for Men is a popular perfume by Clive Christian for men and was released in 2001. The scent is spicy-woody. The longevity is above-average. It is still in production. When fragrances are as hyped up and expensive as those from house Clive Christian, one would expect them to be the 'holy grail' of all perfume ... so mindblowing that one would feel the need to sell one's grandmother to possess them! While CC X for men is nice, it certainly doesn't inspire one to lofty delirium, simply to delusions of grandeur. Fruit in fragrances falls out of my enjoyment circle when not used cleverly, and unfortunately the blast of Pineapple over-sweetens what could have been a tingling Bergamot at the top of this fragrance ... the Rhubarb would've been plenty. This sweetness is fortunately short-lived until the fragrance enters my favorite part of its evolution ... the peppery Jasmine in the heart is wonderful and if X was only about this combination it would be super chic along with some of the lovely base notes. Unfortunately the effect becomes 'so much the same as' a few other masculine Oriental Fougere's out there. In actual fact, this fragrance reminds me a lot of one of my favorites, Costume National Homme, in the drydown ... but CNH is much better. The supposed 'snob value' of CC X falls rather flat in the end. Far from X-'citement' all I am really reminded of is 'portly and balding' ... this fragrance strikes my nose as extremely dated. I would probably wear CC X for a short while were it presented to me as a gift. The £350 odd that it retails for, however, would be better spent on things that one really loves and not merely likes. X for Men goes on with a splash of bergamot and orris before transitioning to an absolutely heavenly combination of cinnamon, pink pepper, jasmine and ginger with hints of cardamom, amber and vanilla. 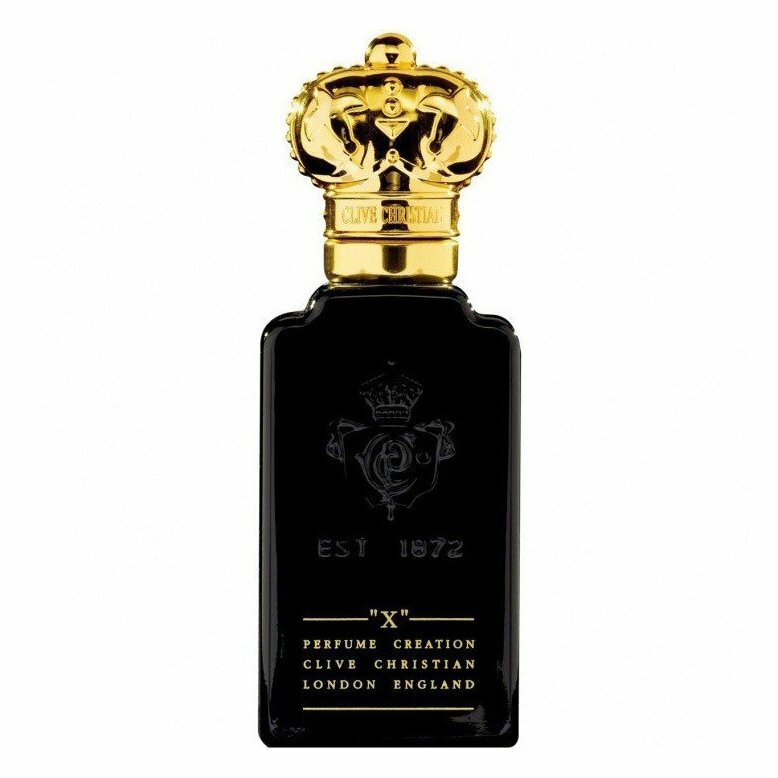 Primary base notes of oakmoss and cedar ground the slightly sweet but mainly spicy heart with just the right amount of woody and mildly mossy balance as they peep into the background early before growing in strength late. Projection and longevity are average to above average. X for Men is an absolutely incredible stunner of a scent from start to finish. The cinnamon, pepper, jasmine and ginger combination that is the primary accord at its heart is absolutely awe inspiring. It is perfectly balanced in its sweetness with the spice, and extremely easy for just about anyone (male or female) to feel super-confident wearing it. The woody/mossy base just compliments the spicy sweetness brilliantly and is the ideal foundation for the scent. As an aside, I was really hoping I could pan X for Men (the first scent I have smelled from the house) as I can't stand the overly ostentatious marketing Clive Christian employs, but I guess if you are going to rub your ridiculously lofty prices in people's faces you better darn well deliver the goods and at least with respect to X for Men, Clive Christian (and Geza Schoen) definitely do. This one is a masterpiece and easily is deserving of its 4.5+ star out of 5 rating (and just maybe even its relatively lofty price tag as well). Write the first Review for X for Men!